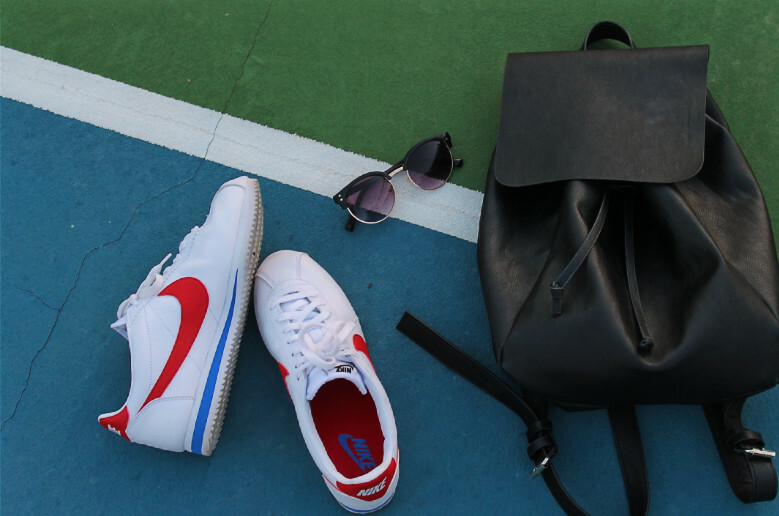 "Let's go down to the tennis courts..." - and take some pictures. 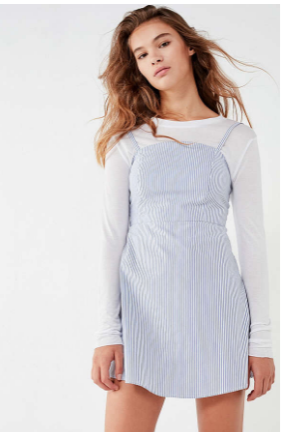 We adore the sporty aura of this striped neck dress. Dressed up or down, it can match any aesthetic you choose. 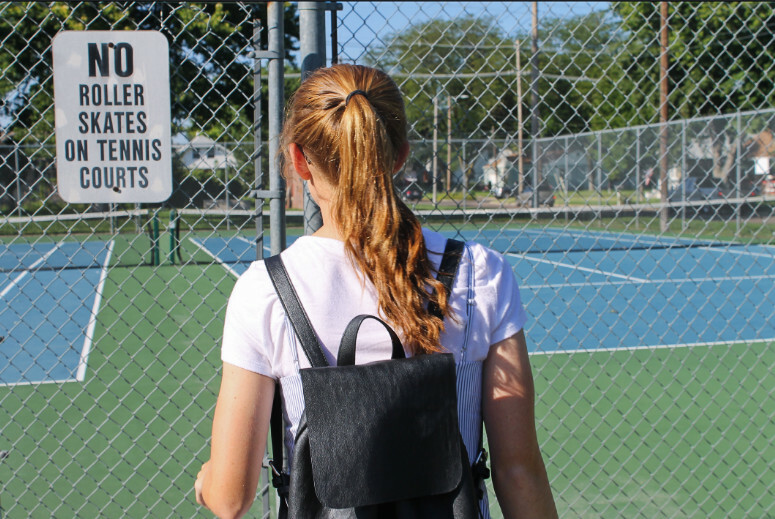 To achieve an even more athletic feel, we added our drawstring backpack (similar). 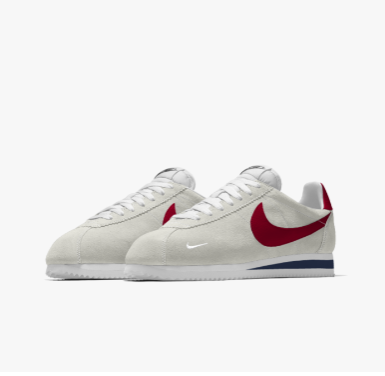 Our Nike Cortez sneakers bring us back to the scene in Forrest Gump when he gets a new pair of running shoes. Legendary? Yes, and that's one reason we had to have them. These iconic shoes were released in 1972 and quickly became a key accessory for west coast street style. And lately, they have been blowing up across the U.S. in blogs, magazines, and Instagram posts. You could say the Cortez sneakers are having a similar comeback to that of the Adidas Superstars, just not as huge yet. Be sure to get your hands on a pair ASAP!